On this week’s Checklist by SecureMac: Worried about your internet of things things? Princeton has a tool for that!, Worried about hotels and data security? You should be!, Apple’s new steps against scammy subscriptions,and Facebook: amiright…? 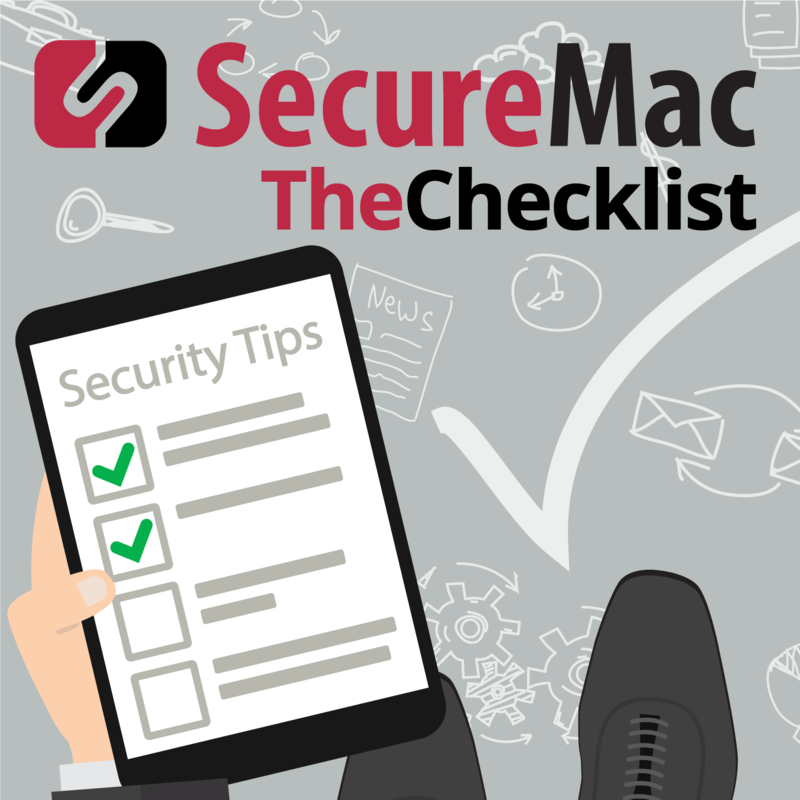 On this week’s Checklist by SecureMac: More enterprise certificate abuse, Threats to put CEOs in the poker and A layer of certification for Mac apps. On this week’s Checklist by SecureMac we talk about: Viruses or Malware, Can iPhone get either?, Congress considers facial recognition legislation and MySpace teaches us all about backups. On this week’s Checklist by SecureMac: Congress nibbles at the Internet of Things, Out of sight is not off the grid and A show worthy of a security conference. On this week’s Checklist by SecureMac: Hear ye, the Thunderclap, Google’s Project Zero hits Apple & The EFF wants encryption in the cloud. On this week’s episode we talk about: apps that record what you’re up to, pirates on the Enterprise, and 2FA has a day in court (for some reason).